October is shaping up to be a busy month, with the iPhone XR, Google Pixel 3, OnePlus 6T, Huawei Mate 20, and the Razer Phone 2 slated for a launch. With all the smartphone makers vying for customer attention, only the best one will stand out. The Razer Phone deserves a special mention for starting the trend of gaming-centric smartphones in the industry, inspiring other companies to release phones such as the Nubia Red Magic, ASUS ROG Phone, and Honor Play. However, a recent Google Play Console listing has us a little confused and we believe that you too will be perplexed. For those of you who don’t know, the Google Play Console allows Android app developers to publish their apps and games. 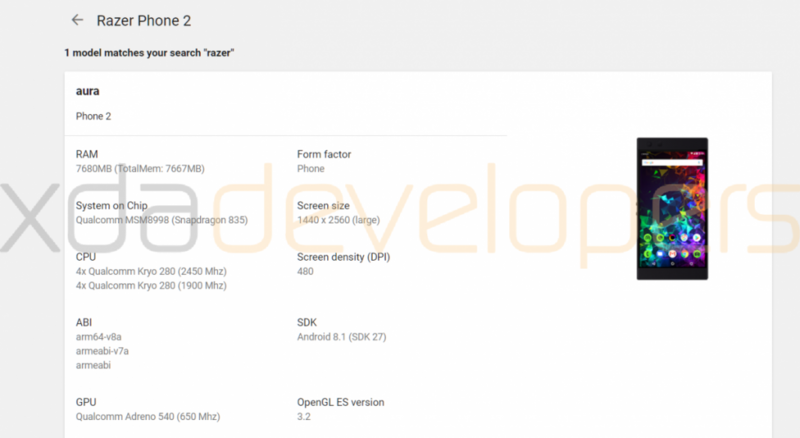 Razer Phone 2 has now been certified by Google and it is listed on the Google Play Console, enabling us to find out more about it. 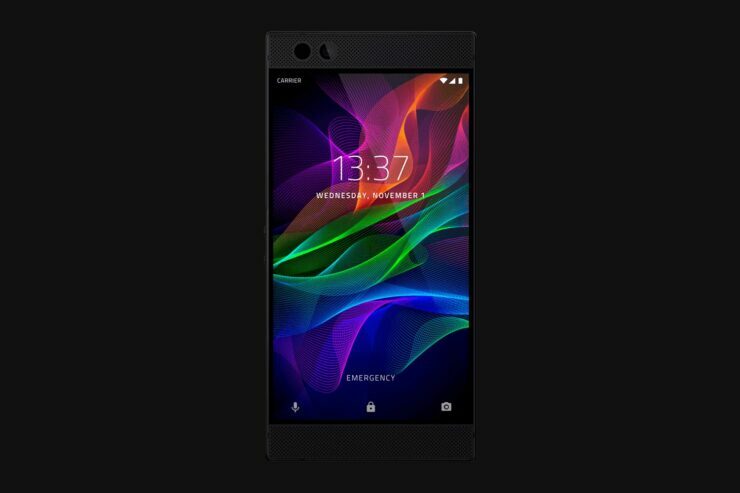 The Razer Phone 2 is expected to be only an iterative upgrade over its predecessor and alleged press renders show very subtle design diversions. The Google Play Console listing has revealed that the device is codenamed ‘aura’. The most puzzling bit of information is that the phone will have the Qualcomm Snapdragon 835 SoC with the Adreno 540 GPU under the hood, accompanied by 8GB of RAM. This doesn’t quite add up, as this SoC powered the previous generation as well and we would expect the new generation to come with Snapdragon 845 chipset paired with the Adreno 630 GPU. This could be a blatant error, but given the fact that Razer submitted this information to Google, the chances of that might not be that high. 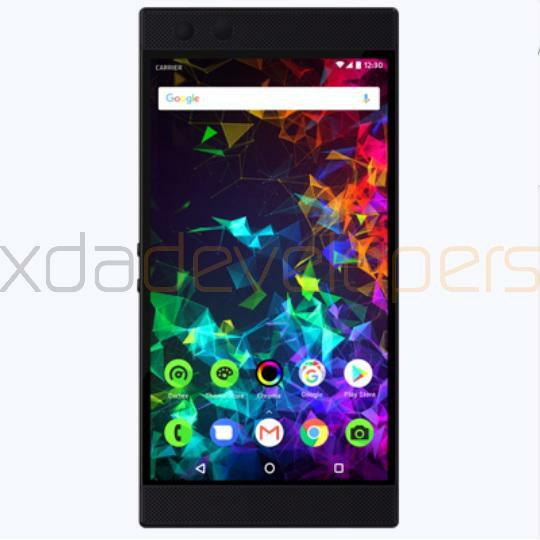 Most companies that are completed with the CTS certification ahead of time would ask Google to keep the information private, so it is strange that the information about the Razer Phone 2 is already publicly available. The listing has also revealed a resolution of 2560 x 1440, which is the same as last year, and the presence of Android 8.1 Oreo, which the predecessor is already running. The only new thing that seems to be the preinstalled is the Chroma app which will allow users to apparently control LED effects for notifications. While the performance difference between a Snapdragon 835 and Snapdragon 845 is not all the much, it will be a disappointing sight to witness if the Razer Phone 2 does indeed get shipped with a 2017-generation chipset. Do you agree? Let us know down in the comments.